You are here: Home / Blog / Random Stories / 10 Best Free Online Web Development Courses: Learn, Design, Earn! 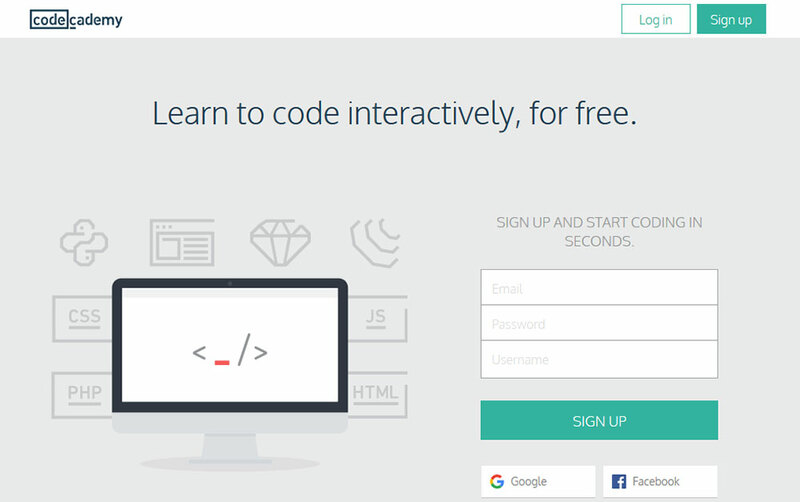 10 Best Free Online Web Development Courses: Learn, Design, Earn! This article is written by Henry Rise, the CEO of ThemeRex, Power Elite Author on Themeforest, with 140+ WP themes. When newbies ask about the best places to learn code online, the correct answer is… it depends. It depends on many different factors. Your background is important, what you want to get out of the experience, and what your end goals are, make different resources better or worse fit for you. We don’t necessarily suggest using all of these resources. Pick some of them and give them a whirl. Some you may love, others you may hate. Worst case scenario, you’ll waste a bit of time and learn what doesn’t work for you. This program isn’t for everyone. That’s why you can take their free prep courses and then make a decision. No matter your experience, you should start with the free prep courses, and get a feel for the format. If you are able to finish the prep courses and enjoy that experience, you may consider registering for paid courses. If you can’t finish the prep courses or didn’t enjoy the experience, then you probably shouldn’t take the Launch School program. In order to really understand any tool – Rails, Angular, React, etc – you have to start with the first principles. First, you have to learn basic problem solving with a programming language. Next, you have to learn the intricacies of that language. Then, you have to learn web development, which includes HTTP, front-end vs back-end, SQL, relational databases, etc. Finally, you can start to peel back the conventions in a library or framework. In short, this school program is geared towards those who are serious about getting a job with a time horizon of 12-14 months for the transformation. This is a free 5-day video course with lessons that will teach you how to build your very own, first Laravel PHP web application, step by step. They will walk you through the process and show you how to code everything. There’s no guesswork for you, and each lesson is short and easily-digestible. 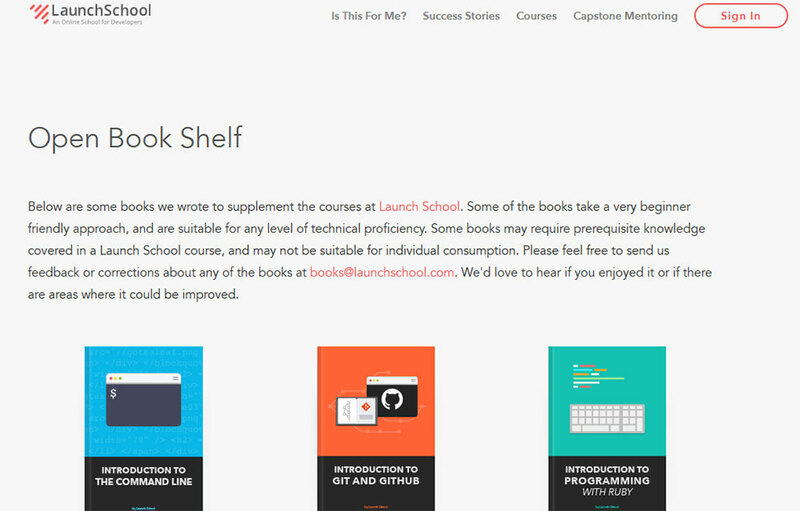 If you don’t know where to start, Bento offers a free full stack web development curriculum created by top engineers. Deep dive into the tech you’re passionate about. Bento found the best tutorials on over 200 different web technology topics. Share your own finds and tutorials on learning the newest technologies and see what other engineers are excited about. Leo Trieu designed and coded the Code4Startup platform with Ruby on Rails in 3 days only but it took him almost 2 and half months to create just 5 hours of video for his very first two educational courses ever, Zero and Ninja. Why? Because he is not a native English speaker and he had to practice and repeat hundreds of times. But he kept trying and never gave up. He bootstrapped this startup with a dream of educating millions people from around the world. Code4Startup is not just about learning how to code, it’s also about inspiring people to create something meaningful, something they are excited about. Code Avengers offers classes for web designers, web developers and software engineers. At Code Avengers you learn by doing. Learn from step-by-step instructions combined with 1000s of code challenges, videos and quizzes with support from expert educators and an enthusiastic community of learners. You also build your portfolio. You’ll start off learning to build simple apps and websites, but quickly progress to building real-world applications you can show-off to friends and future employers. Whether you want to land your dream job, start your own tech company, or build technology that changes the world, the Code Avengers team are dedicated to helping you get there faster. Codecademy is an education company. They’re committed to building the best learning experience inside and out, making Codecademy the best place for their team to learn, teach, and create the online learning experience of the future. The company is rethinking education from the bottom up. The web has rethought nearly everything – commerce, social networking, healthcare, and more. They are building the education the world needs – the first truly net native education. They take more cues from Facebook and Zynga in creating an engaging educational experience than they do from the classroom. CodeCombat was created to give learners the feeling of wizardly power at their fingertips by using typed code. As it turns out, that enables them to learn faster too. It’s like having a conversation instead of reading a manual. They want to bring that conversation to every school and to every student, because everyone should have the chance to learn the magic of programming. Since 2013, Coder Camps has been preparing students for successful, rewarding careers in the field of software engineering. Through accelerated and immersive courses led by expert instructors, their students become accustomed to thinking like a developer and adapting to the dynamics of working on an Agile software team. As technology continues to evolve at an increasingly rapid rate, students need more than a kick-start to a good job, they need a persistent career development partner. That’s why Coder Camps graduates are encouraged to return as often as needed, free of charge, to refresh their knowledge, learn new technologies and find new opportunities. Their coding bootcamp centers on the needs of today’s hard working software teams and hiring managers. From learning to code, creating a fully-functional web application, interview readiness training and so much more, their focus is preparing students to meet the demands of employers. I hope you will pick out the resource that will teach you all necessary skills to start developing your templates, websites, applications and making money on your passion. Have you already tried any of them? Do you have any additions to this list? Please share them as well as your success stories with us at the comments section. If you have any additional questions, please don’t hesitate to reach out and ask. 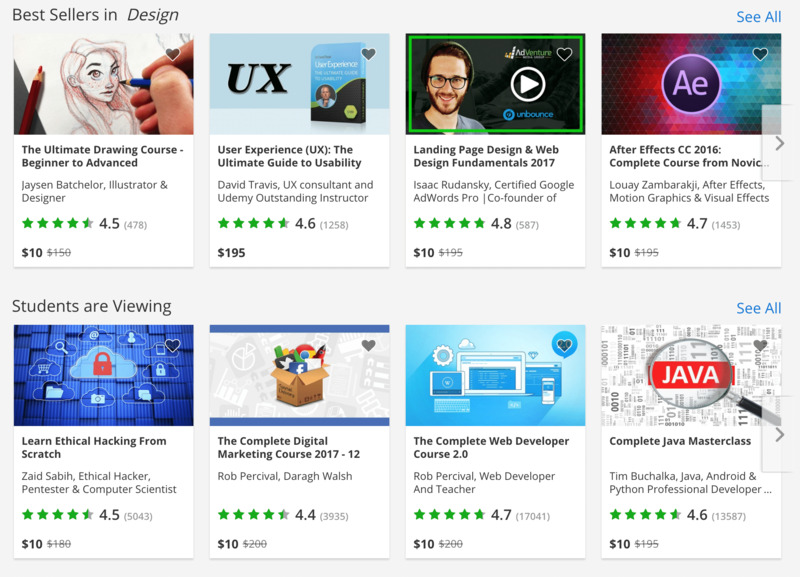 From programming to photography, Udemy has it all! Check out their online courses. Have any other free (or paid) online web development courses you recommend? Let us know! https://www.primarytech.com/wp-content/uploads/2013/04/PrimaryTechnologies-Logo-new1-300x144.png 0 0 admin https://www.primarytech.com/wp-content/uploads/2013/04/PrimaryTechnologies-Logo-new1-300x144.png admin2017-07-27 13:30:062017-07-27 13:30:0610 Best Free Online Web Development Courses: Learn, Design, Earn!